What are you afraid of? You’ve probably heard that some people fear public speaking more than they fear death. I know many attorneys who fall into that category. However, whether they realize it or not, most lawyers give presentations as part of their job, whether to the Court or to a civic organization. The manner in which they present can affect their reputation. I’ve seen some great lawyers give horrible presentations, and I’ve seen mediocre attorneys absolutely wow an audience. I believe that if you decide to do something, you should do it with excellence. 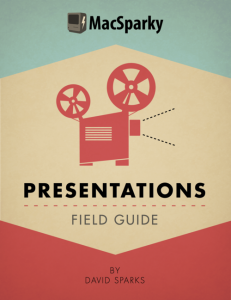 There are several resources to help you give an excellent presentation, including Presentations, the new Book from my good friend David Sparks (a/k/a MacSparky), which was released earlier this week. David has published other award-winning “Field Guides” on topics such as Paperless and Email, but Presentations may just be the best of the bunch. His new book will benefit both beginners and power users, as it explains how to create exceptional presentation to connect with your audience, the technical wizardry necessary to create a stunning presentation, and walks you through the day of your presentation to make sure it goes off without a hitch. 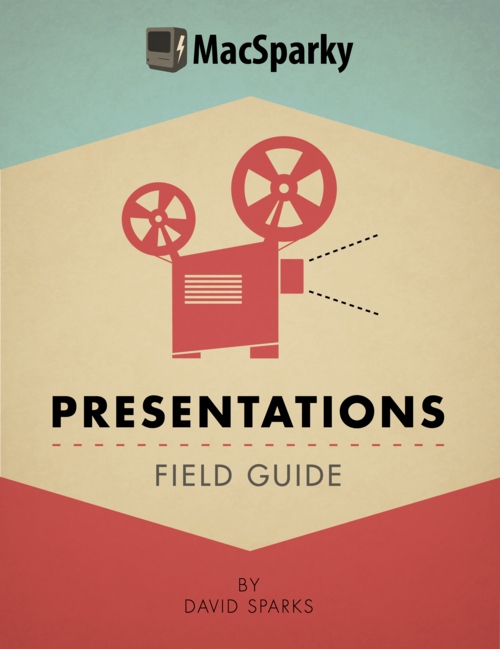 Presentations is available in both iBooks and PDF formats, though the iBooks version includes 44 screencasts, audio interviews, and other rich media assets to help you make your next presentation riveting. Great recommendation! I bought the iBooks version and have been following McSparky’s advice in preparing for a Cybersecurity CLE next week. I love his suggestion to use MindNode to gather your thoughts and organize them (as he puts it “cooking ideas”) over a period of time, then looking at your mind map as an outline, to refine its organization. Thanks.